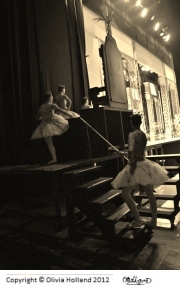 Discover incredible ballet photos that give a true insight into a ballerina's life. 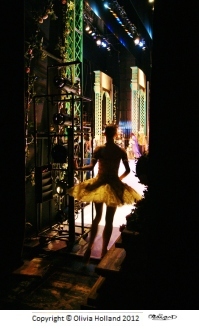 You can see the dancer's pointe shoes, dressing rooms, theatres and MORE! 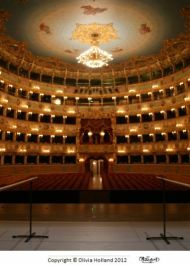 The photographs you see here are what the average ballerina will see nearly everyday of their life when they are in the theatre and performing on stage. What you see on stage in dance is not always the way a dancer's sees it. Let me invite you into the world of a dancer not from an audience point of view, but from a professional dancer. The beautiful photos on this page and all over the site are photographed by the website's resident artist, Olivia Holland. 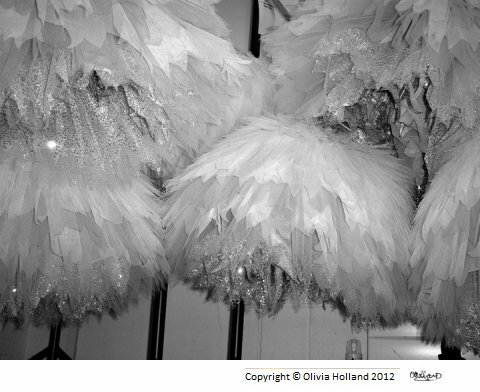 Olivia is a young professional ballerina and takes artistic photos all over the world when she is performing. You can discover more about Olivia Holland on the ballerina photos page. The site is packed with Olivia's unique photos, so take a look around and live the life of a dancer! Ballet dancers have a lot of performances, which means a lot of preparation. The dressing rooms are an essential place to get everything ready for show. 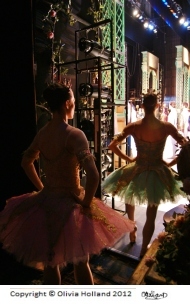 The dancers always have to check they have enough pointe shoes, make up and energy to keep them going for all the shows. Whether it is big bottle of water, or stack of bananas, dancers will ALWAYS be prepared! 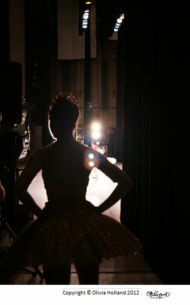 There is no question that it is an exciting life to be a ballerina. It takes A LOT of hard work to become a professional, but once you are there it is a very fulfilling career that can make it all worth it. Many ballet dancers even have the chance to travel the world and visit different cities and theatres. 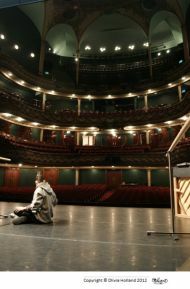 Most of the time is spent inside the theatre, but the tours definitely bring excitement to perform internationally. Lets not forget, a ballerina is never ready without her precious pointe shoes. The pointe shoes get used very quickly when performing and every dancer need multiple pairs especially for a busy schedule of shows. 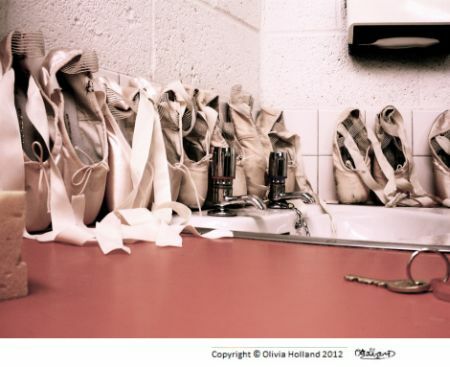 The ballet picture below shows just ONE dancer's pairs of pointe shoes!